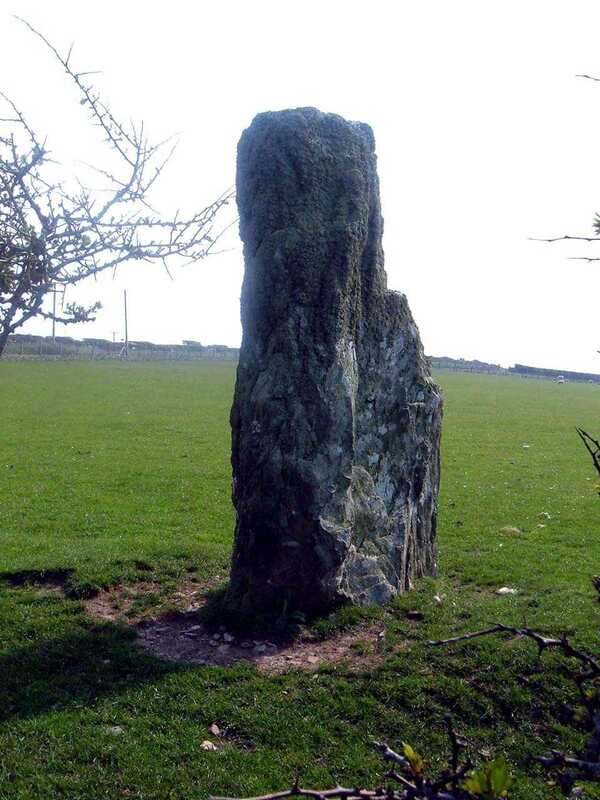 Bodewryd Standing Stone - an ancient monument on the island of Anglesey. 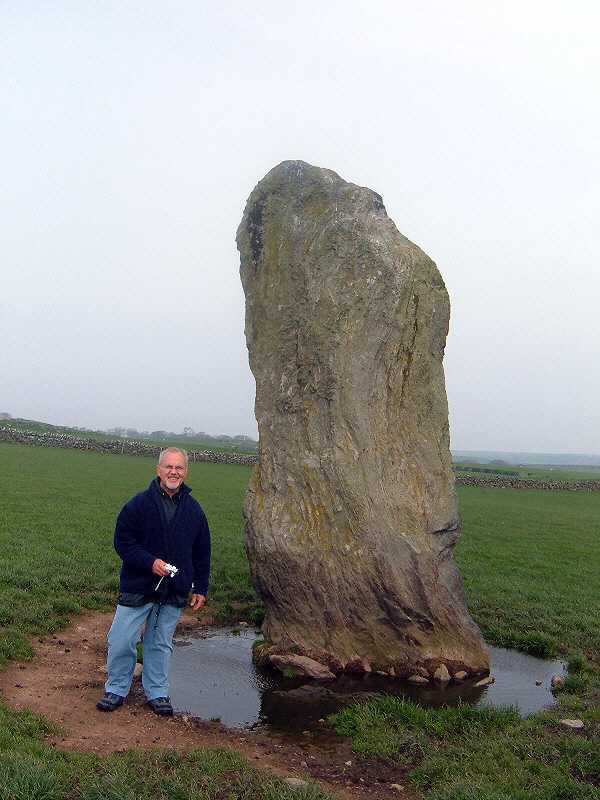 Plas Bodewryd Standing Stone and Prof. William J. Wynn of Alabama. 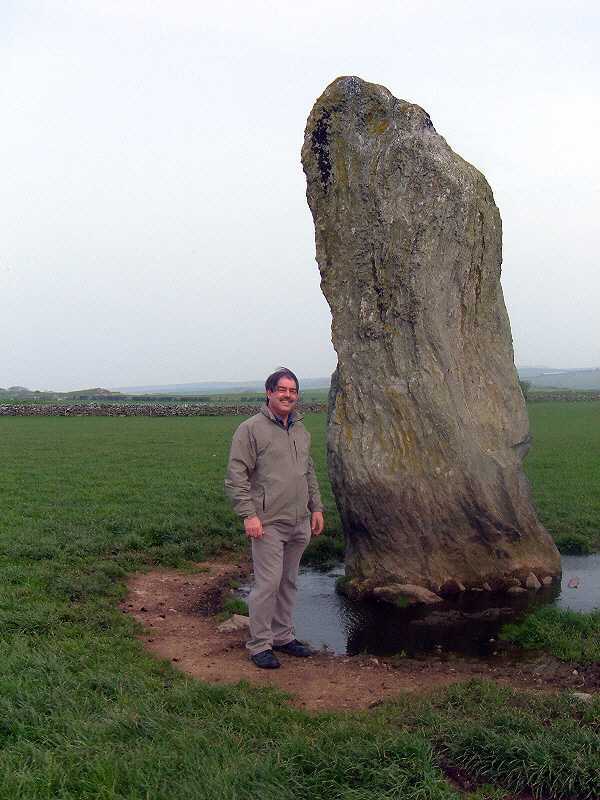 Certainly one of the tallest and mythical of Anglesey's standing stones. I didn't have any measuring tape with me but it was about double my height, and must therefore be between 11 and 12 feet tall. 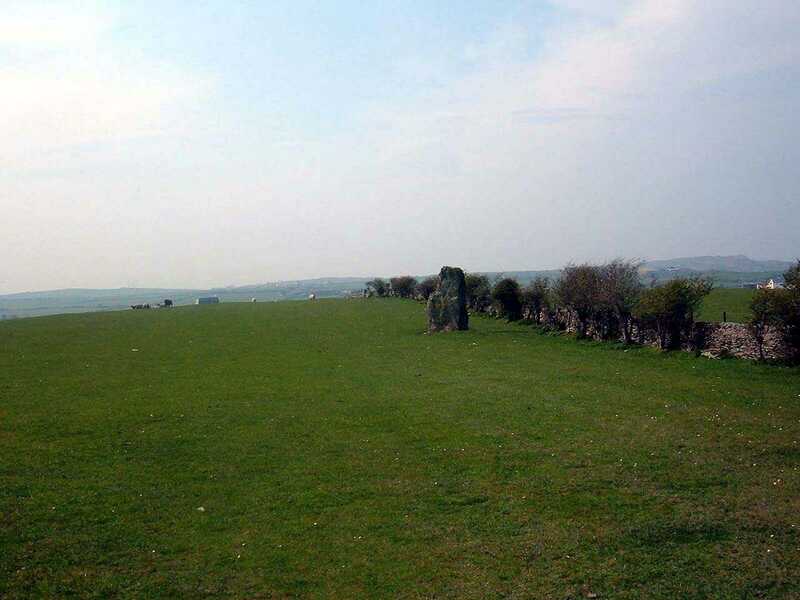 Stands erect in the middle of a field on the Plas Bodewryd estate. 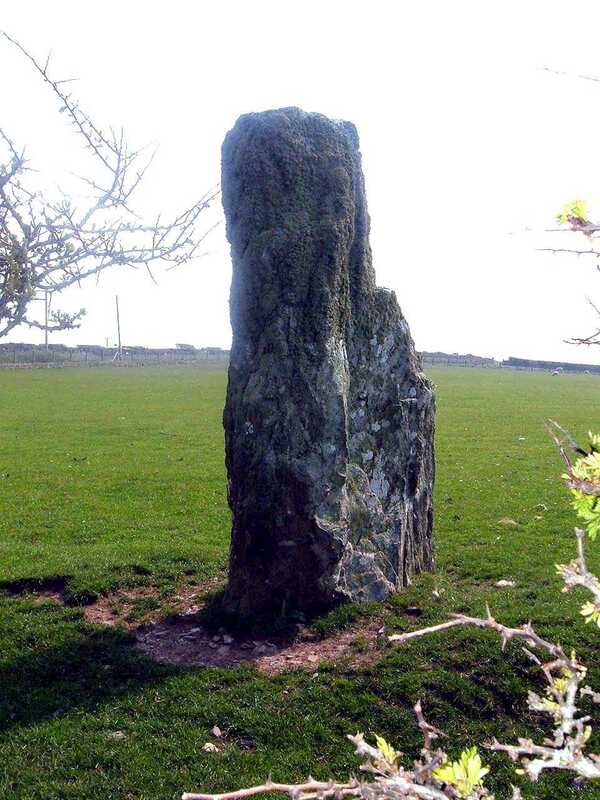 In the welsh language the stone is known both as Carreglefn - the smooth stone, and also as Maen Pres - the brass stone. A legend says that if you cut into the ground around its shadow at a certain time of the day then you will discover treasures buried in a brass container. 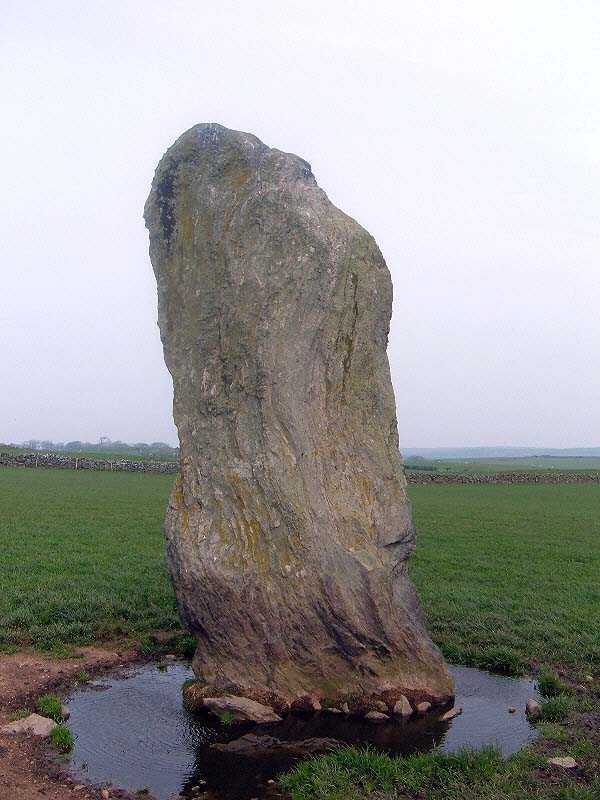 It is also said that if you can first find, and then read a supposed inscription on the stone, then this enormous stone will move aside to reveal the treasure. 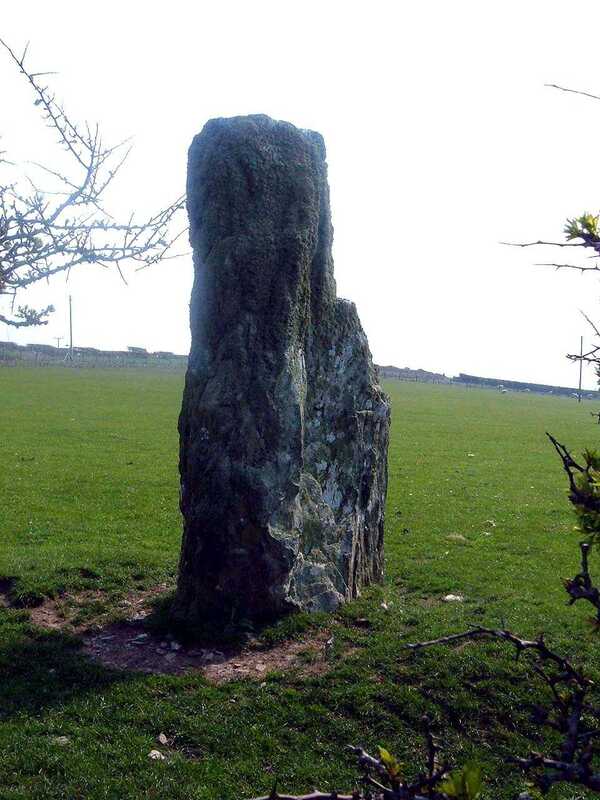 This ancient monument on Anglesey was almost impossible to see although it is only a few metres from the road, this is because of the dense hedges that surround it.